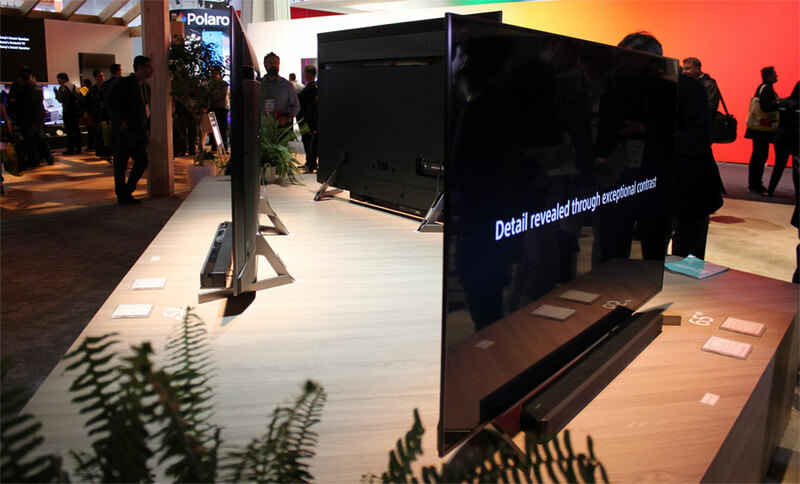 At CES 2018, FlatpanelsHD attended a private demonstration of the A8F OLED (AF8 in Europe) and X90F LCD (XF90 in Europe) TVs. The company was eager to highlight how it is using technology to improve picture quality, including an update to its motion system called ‘X-Motion Clarity’. Sony showcased a new ‘X1 Ultimate’ platform at CES but the spring 2018 line-up is based on the X1 Extreme that carries over from 2017. To set the tone for the talk, Sony began by explaining that in developing its video processors it allows some headroom for adjustment. In a perfect world we would have pristine content sources all the time that perfectly matched how the content creator intended the picture to look but that is not possible today. That is why Sony believes that the user menu must offer some flexibility in picture adjustment. With the X1 Extreme, Sony has aimed to create a platform that allows for these in-home adjustments, while at the same time preserving the creator’s intent best possible. Sony X90F (XF90) is the successor to last year’s X90E, which proved a big hit for Sony. To build on that success the company has made improvements to how the backlight system in the LCD panel works. One of the challenges with sample-and-hold based displays (like LCD and LG Display’s OLED) is how the brain perceives motion on the screen. Our eye – or brain – has a kind of built-in memory, which affects how we perceive motion, or more specifically motion blur. In essence, the picture on the display burns onto our retina for a short time because the TV sends out a constant stream of light without interruption. One of the ways to cancel out this effect is by employing a system like “scanning” or “blinking” backlights, which means that the TV turns off the backlight for a very brief period of time in order to continuously “reset” our retina, making motion video appear less blurry. At the same time, motion interpolation can add additional frames to the video stream to make motion appear smoother. Of course, there is a downside to the technique. Because the backlight flashes, brightness drops significantly and some also perceive the effect as flicker, as noted in our reviews throughout the years. With the introduction of HDR, manufacturers have become even more focused on maintaining high brightness output. What Sony has done with X90F is to develop a new scanning backlight method that uses the actual dimming zones rather than the full backlight to apply the technique. This approach helps preserve brightness and ensures that motion is improved locally in the picture. 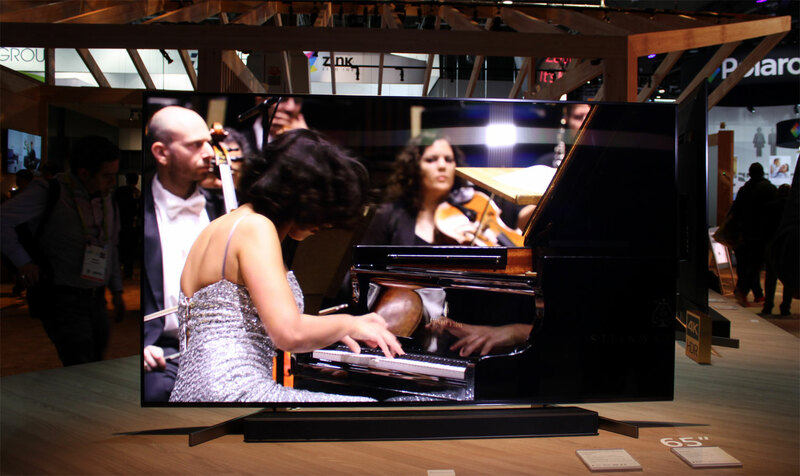 This is possible because Sony is using full array local dimming zones and gradual control of brightness in X90F. The result is that motion looks sharper and more detailed, while brightness is preserved. Sony explained that the system is activated in the default picture modes but that motion interpolation is not used in the Cinema mode, since it is meant to reflect what the film director intended. Like everyone else, Sony had set up a side-by-side demonstration to show how its TV compares to the competition, in this case a TV from one of the main competitors (a Q model from Samsung). Sony’s X90F stood out during the test. Sony has traditionally received praise for its motion engine but we reserve judgment for later when we get our hands on a review sample. The second part of Sony’s demonstration revolved around the X1 Extreme processor and how it handles color gradients, mostly in reference to HDR video. As a general rule, HDR video uses higher bit depth but it is not enough to completely eliminate video issues. Display technologies can also have limitations and despite all of its strong sides OLED often struggle to reproduce the very darkest grey tones closest to black (below IRE 5). The same is true for specular highlights where details tend to burn out or colors can shift slightly if the mix between primary colors is not controlled accurately enough. 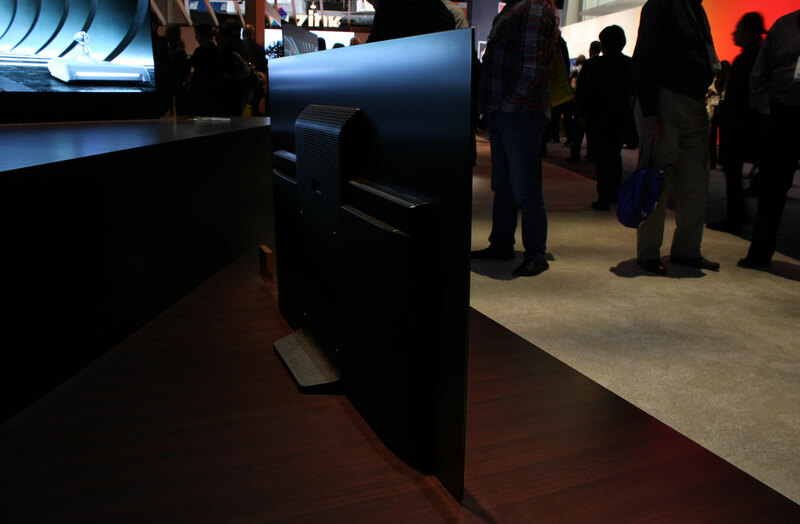 Sony compared its new A8F OLED to one of its own (extremely expensive) reference OLED studio monitors as well as an OLED competitor (the 2017 LG C7). The studio monitor operates in absolute luminance levels and does not strictly follow the PQ curve. The reference monitor cuts highlight details above 1000 nits but the idea was to provide a reference for how the movie is meant to look. We mortals have no way of comparing these things and even though calibration can help it is extremely hard to recreate the director’s intend 100% on a consumer TV. During the demonstration, Sony used various generic gradient patterns, fairly similar to those we use to review TVs, but also actual movie scenes in HDR to demonstrate how highlight and shadow details often tend to be clipped or fade. None of the two consumer TVs looked exactly like the reference monitor but what Sony wanted to show us was that A8F OLED performed well. 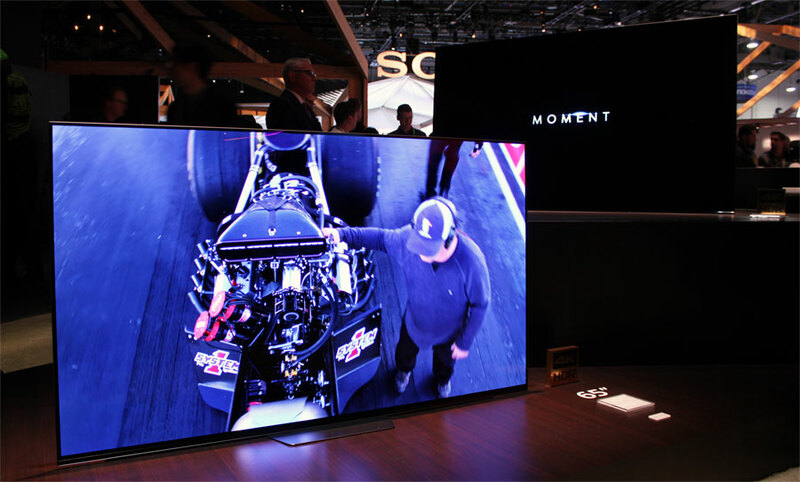 It is more or less impossible to spot these minor issues without a reference monitor (or unless you are very familiar with how the content is supposed to look) but there was nevertheless a visible differences between Sony’s A8F and LG’s 2017 OLED TV. Since A8F and last year’s A1 will use the same panel in 2018 (and the X1 Extreme), these considerations also apply to the A1. Of course, these types of demonstrations are inherently biased as no manufacturer wants to put its own product in negative spotlight but in some ways the demonstration substantiated our own findings in reviews. The bad news is that since A8F largely performs on par with A1, there are no substantial improvements to be had. As usual, taking photos or video was prohibited. 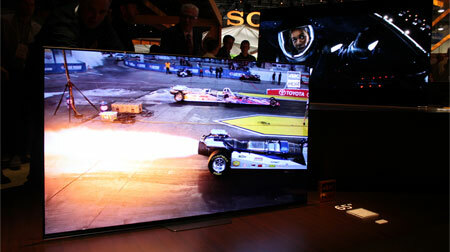 We have instead included photos of the new TVs from the open show floors. We look forward to examining the TVs more in depth once we receive review samples. Sony confirmed to us at CES that it is currently working on bringing Android version 8.0, also known as Android Oreo, to its TVs. The company also said that it has shortened development time between major updates. That may be true but considering that Android 8 was released in August 2017, consumers should still arm themselves with patience in the future. Sony confirmed that Oreo will be made available to the 2018 models but the company did not want to go into specifics about timing or the rest of the line-up yet. Sony usually announces additional details between CES and launch. The Android 8.0 update is worth highlighting once again because it will fundamentally change the user interface on Android TV. Today, you have a recommendations row at the top, with apps and games listed as separate icons below. Starting with Android 8.0, each service or app will have a “channel” on the main page from where it can highlight new and existing content. We shot a video of Android 8.0 (beta) last year, which is embedded below. Sony has also been working on bringing HDR to YouTube on Android TV for a long time. It is not clear what exactly the holdup is, mainly because Sony is not talking. The built-in Chromecast feature does not support HDR either. At CES, we asked Sony for the umpteenth time for an update but the company had nothing new to say. YouTube HDR requires VP9-2 (Profile 2), meaning that only TVs with VP9-2 hardware decoding can be updated. There is nothing new to report regarding Google Assistant either. The voice assistant has been activated on Sony Android TVs in the US but no date has been set for Europe.